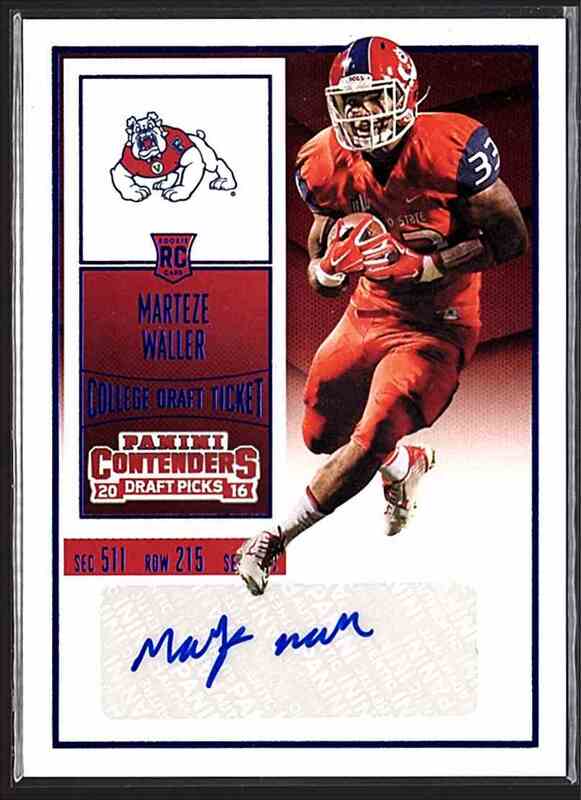 This is a rookie autographed Football trading card of Marteze Waller. 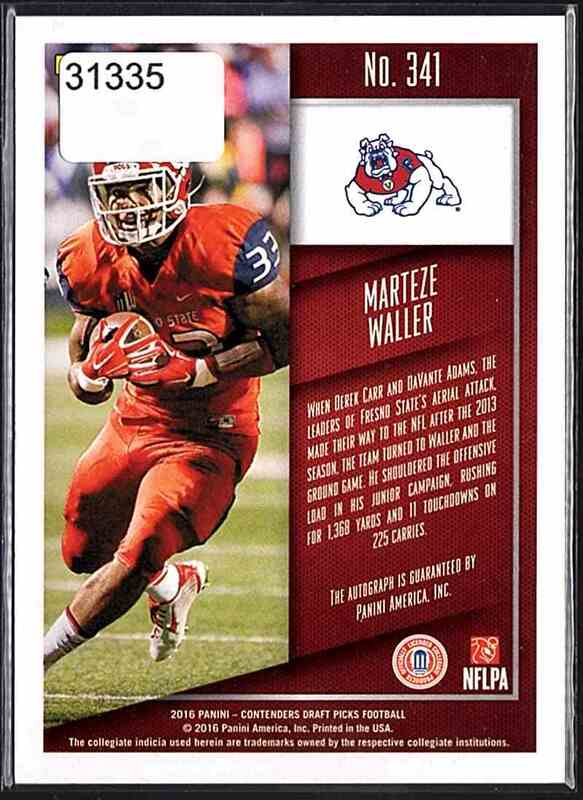 It comes from the 2016 Panini Contenders Draft Picks College Draft Ticket Blue Foil set, card number 341. It is for sale at a price of $ 3.00.